The major focus of Rome's New Year's Day celebrations is the Piazza del Popolo, The People's Square, which is the start and finish of our New Year's Day Parade, January 1st at 15.30. 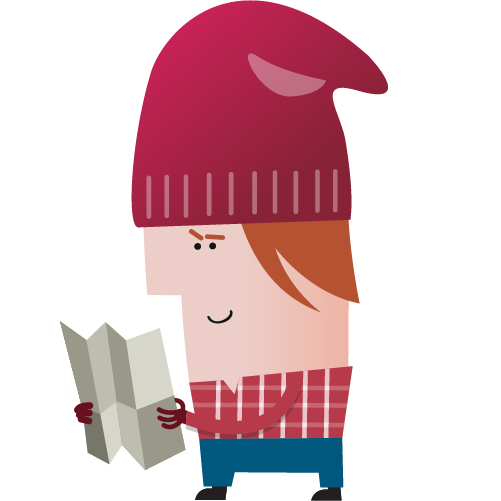 To get directions from your location to the start of the parade click here. The Parade Route is: Piazza del Popolo, Via del Corso, Via dei Condotti, Piazza di Spagna, Via del Babuino, Via di Ripetta, Piazza Augusto Imperatore, Via del Corso and ends back on Piazza del Popolo. Are you a local group with a marching band, majorette group, performance group or would like to walk in the parade in fancy dress? Plan your day with the latest downloadable pocket map! Information and links to websites that will help you check for connections, timetables, and any planned travel disruptions. Trains: Travel by train to Roma Termini Railway Station, for timetables and to purchase your tickets click here. 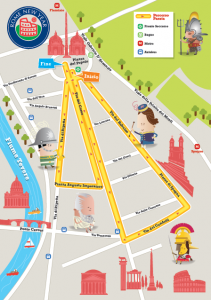 Metro: Spagna, Lepanto and Flaminio stations are all near the Parade route with Barberini a short distance away. For up to date travel information and to plan your connections within the capital visit Muoversi a Roma.